OLD PARKED CARS. 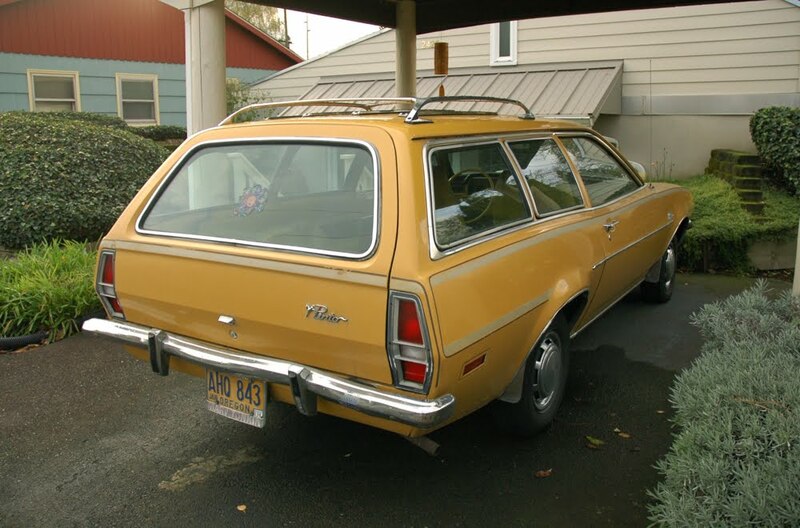 : 1972 Ford Pinto 2-Door Wagon. 1972 Ford Pinto 2-Door Wagon. perfect choice for the final post of 2010. I bought one of these when they first came out the summer of '72 (half year model release) for a whopping $2300. The engine block cracked after only two weeks and I was able to pop the larger Mercury Capri engine in it. I owned the Pinto for 13 years and got $2500 for it on a trade-in. To this day I can honestly say it was the best automobile I ever owned. 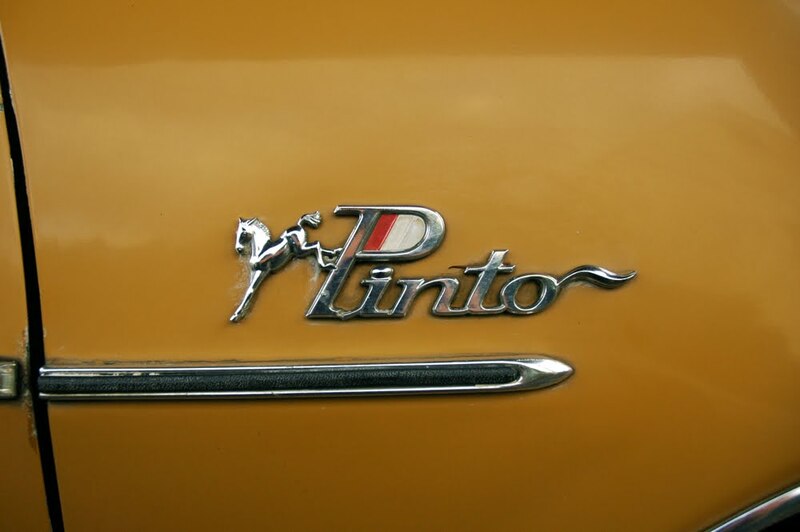 I had a 1972 Red Pinto Wagon ... thank goodness I was never rear-ended! I bought my first car in the summer of '73. 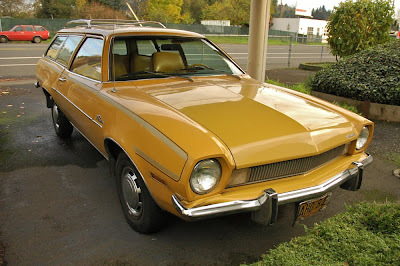 It was a brown 1973 Ford Pinto Wagon. I loved it from the start! It really had very few problems, and any that we had were easily fixed by my husband and his copy of The Pinto Repair Manuel. Living in Wisconsin, rust was not kind to my car near the end. My brown Pinto ended up with 2 blue used replacement doors, which had a lot less rust on them than mine. About 2 years before we finally had to get rid of it, the driver's seat fell through the floor. We drove it for the last 2 years with two 2x4's holding up the seat. At that point it was appropriately named the Flintstone Mobile. 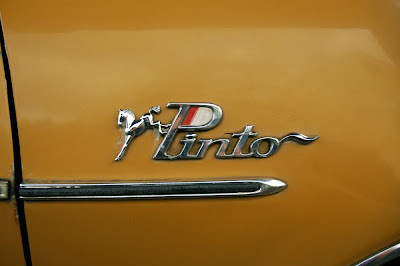 I had my Pinto for thirteen years. The day had finally come as I waved good-bye to my husband as he drove off taking my car to it's final resting place, the junk yard. It was a good car, always started, sometimes with a little help near the end with a screw driver in the alternator. As my husband left the driveway and drove down the street, chunks of rusted metal and an assortment of other small body parts fell behind. After picking up the metal Pinto horse, which later I hung from the mirror of my next car, I watched while a tear slowly ran down my cheek, until I could no longer see the cloud of smoke. It was indeed a sad day. thanks for the story, patty. nicely written.